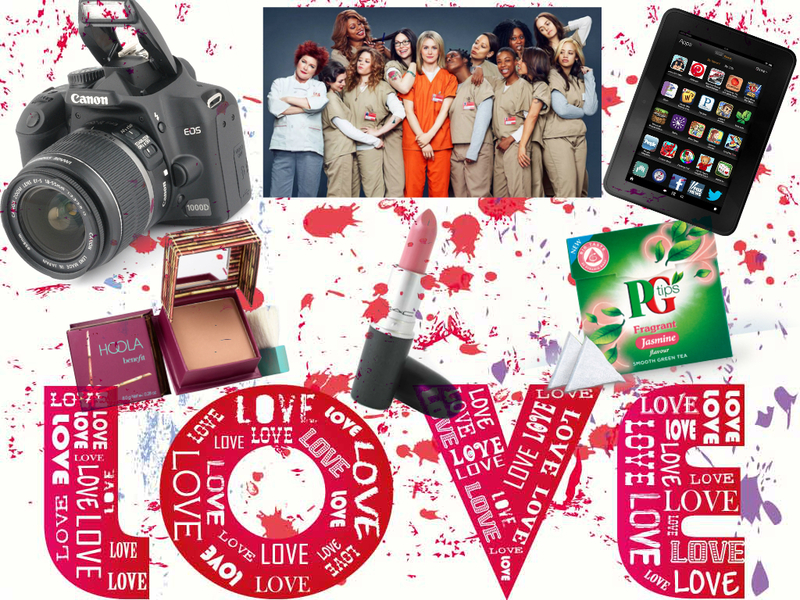 Beautyqueenuk | A UK Beauty and Lifestyle Blog: Things ive been loving lately! Things ive been loving lately! Today I thought I would share with you some of the things I have been loving lately. I am not one of those people who is very good at using products up before opening something new, instead I am like a child at Christmas who just wants to use everything now. I am very much a bookworm. Every day I travel too and from work on public transport which is either the tube or the bus and I need some sort of distraction from what is going on around me, so I tend to read. I never ever thought I would become a fan of the Kindle because I have always loved books, but for me it is about convenience and the Kindle fits nicely in my bag and I never have to worry about running out of things to read. I do love watching TV shows and I am a huge fan of American TV dramas. Favourites include Dexter, House, CSI, NCIS, Hannibal and more recently I was hooked on Revenge (Hurry up season 4). Now I am currently watching Orange Is the New Black, which is an American comedy-drama series set in a women's prison. I am half way through season 1 and so far I have so many favourite characters and cannot wait to see what happens in the end. This is a recent addition to my make-up bag but I am really really liking using it. I did a full review of it which you can find HERE but it is fast becoming my go to everyday lipstick. One of the first products I ever owned from Benefit and one that I keep on coming back to despite having quite a few bronzers. The thing I love most about it is that it is so easy to work with. I am one of those people who doesn't like heavy make-up, I like it to look more natural and with Hoola I can apply it and achieve the look I want without feeling heavily made-up and almost orange. I have been going on and on about wanting a new camera instead of just using my iPhone, so imagine how chuffed I am with this Canon EOS1000D camera! I have only had it for a few weeks and I am still learning how to use it and what each option on the camera does, but hopefully soon you will start to see the photos I have been taken for my blog. Ever since I cut out caffeine last October, I have become slightly obsessed with different decaffeinated teas, something i never ever thought I would say. To be fair if I want a cup of tea or coffee then I will have one, but I am not reliant on 15 cups of tea a day to make it through work. The one tea I am absolutely obsessed with at the minute is from PG Tips and it is Jasmine Tea. It comes inside a pyramid teabag and you simply leave it in your cup for 2 minutes after which time you have this lovely fragrant brew to enjoy. A somewhat odd bunch of things to be enjoying right now. I would love to know What have you been loving lately? I LOVE Orange is the New Black!!! Just started season 2 this morning, far too exciting!! Oooh yay for the new camera!!! Cant wait to see the new pics! It's like a mini-May favourites!I love it. I've had my camera for 6 months now and I still have no idea what have of the buttons do. Perhaps I need to get into Orange is the New Black? I've heard loads of people are loving it now!